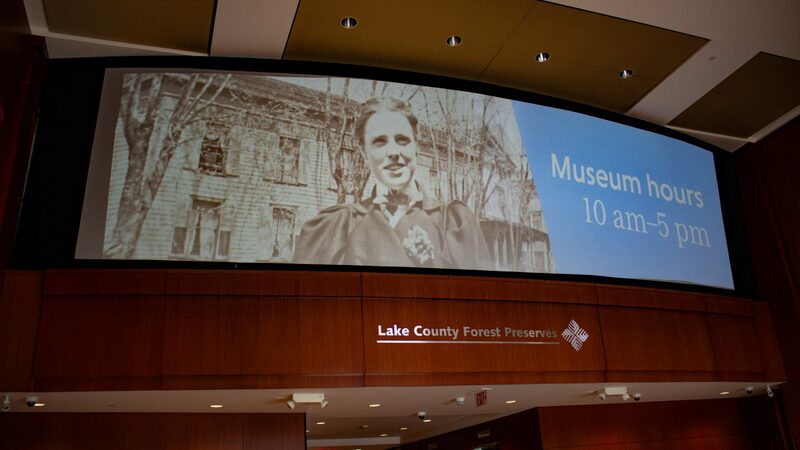 The Lake County Forest Preserves approached us to design a lobby display for their offices and the new Bess Bower Dunn Museum of Lake County in Libertyville, Illinois. 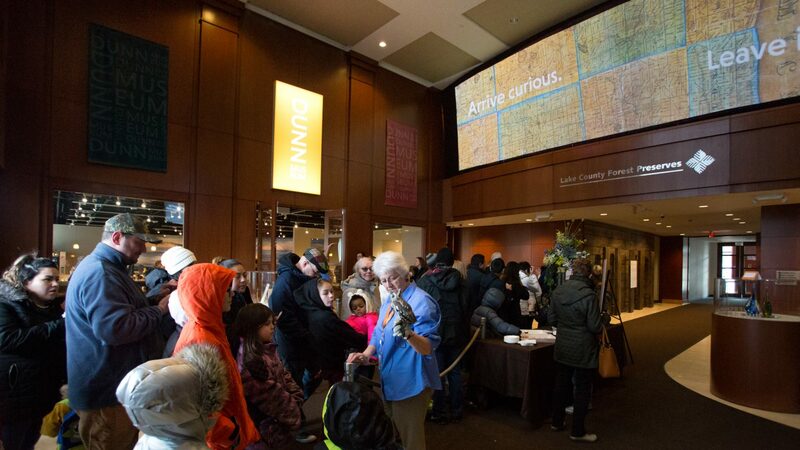 The 400-square-foot screen, curved and tilted to fit the upper terrace over the lobby, provides an engaging way for visitors to interact with informative content about the Forest Preserves’ many locations. 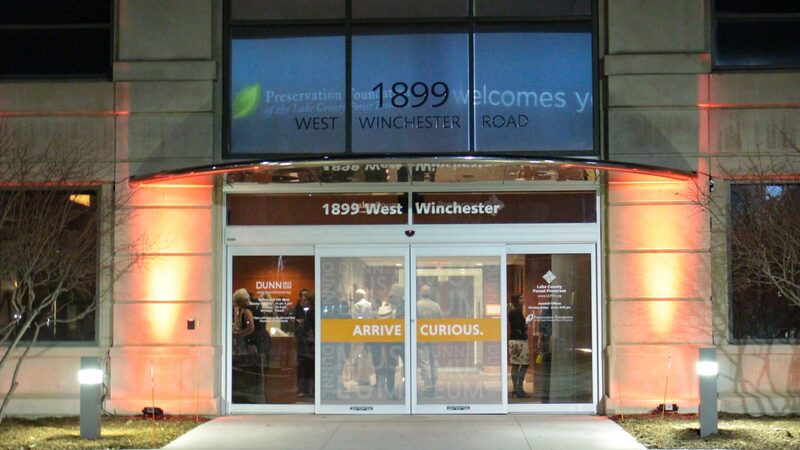 WorldViewer allows staff to keep the display up-to-date with new information about opportunities related to preservation, restoration, education, and recreation. 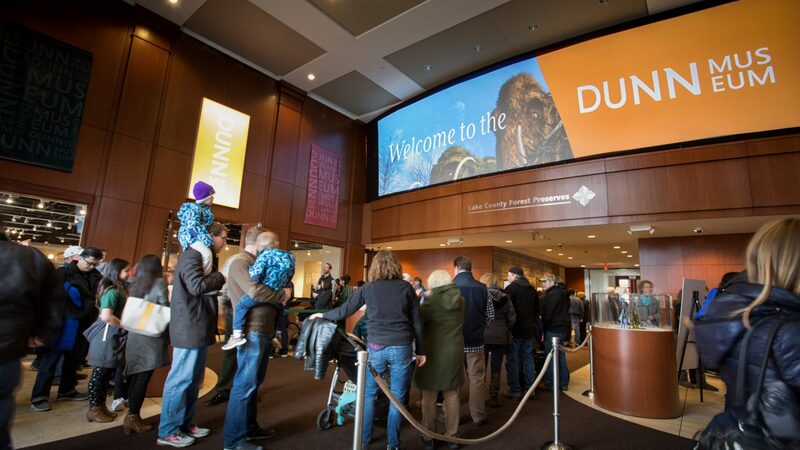 The screen also serves as an effective branding tool, introducing visitors to the Lake County Forest Preserves, Preservation Foundation, and Dunn Museum and connecting these brands with current sponsors and events. Two edge-blended Canon projectors fill the screen, and WorldViewer’s OSC capabilities make it simple to program automatic show control routines. 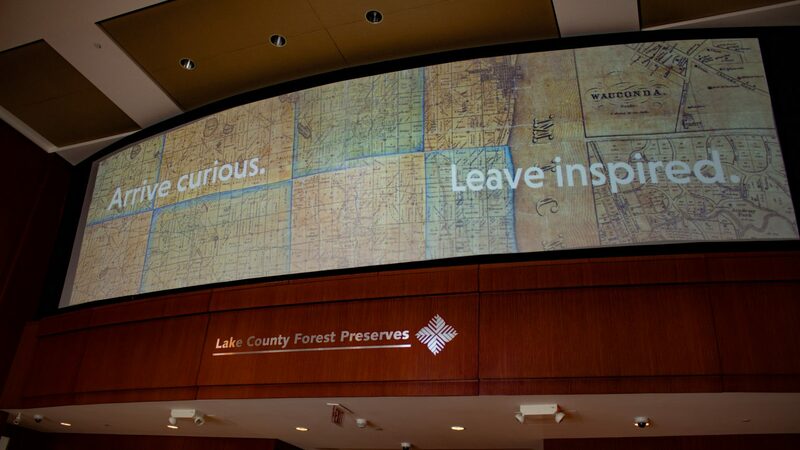 We worked with the Forest Preserves’ team to propose several options for the screen and the projection system, considering practical factors. 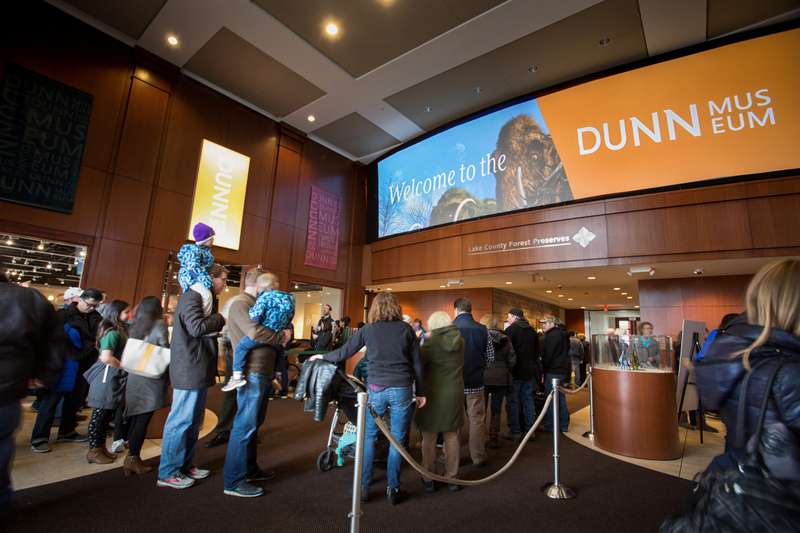 Ahead of the Dunn Museum’s grand opening in March 2018, we created templates for content in WorldViewer. 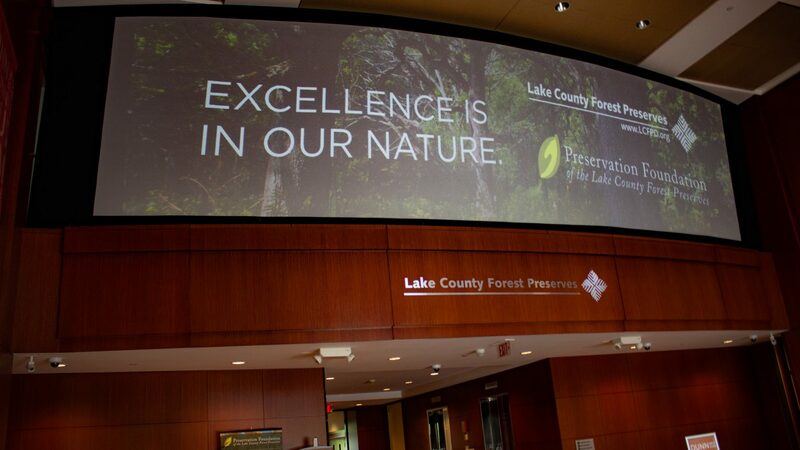 Since then, Forest Preserves staff have kept content refreshed on their own.